"But it's delicate territory," he cautions. 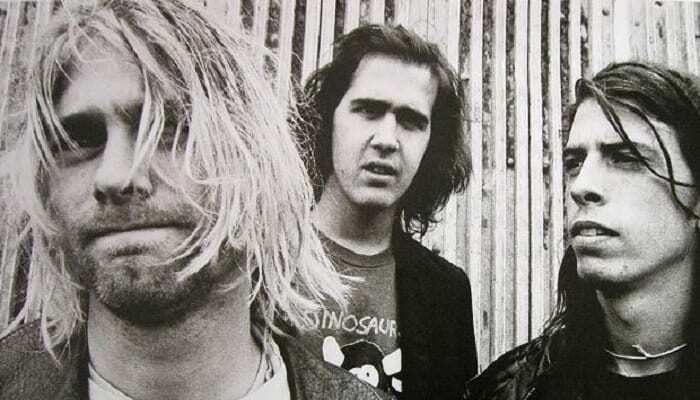 Future gigs from Nirvana‘s surviving members could be a thing! So says Foo Fighters frontman Dave Grohl following his reunion with Nirvana’s Krist Novoselic and Pat Smear, the latter a fellow Foo, at the the recent Cal Jam 2018 festival. This special festival reunion featured guest appearances from Joan Jett and Deer Tick’s John McCauley, the two musicians taking turns singing the famed lyrics of late Nirvana vocalist/guitar Kurt Cobain, who died by suicide in 1994. For his part, Grohl says a Nirvana get-together could happen again. After all, Cal Jam was the first “official” reunion, though they previously reunited at Nirvana’s 2014 Roll Hall induction and had a few impromptu jams last year and earlier this fall. And while Foo Fighters still have a few of their own concert dates left for the remainder of the year, Grohl says he’s due to put the band to rest for the time being. “I’m ready to take a break,” he recently told Billboard‘s Chart Beat podcast.